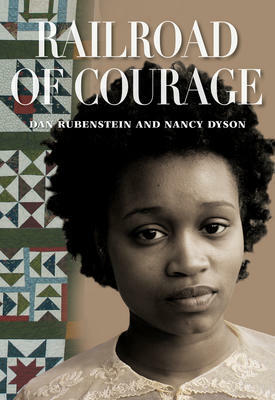 Join us on Saturday, October 21 from 1:00-3:00pm to celebrate the launch of Dan Rubenstein and Nancy Dyson‘s new book for young readers, Railroad of Courage. Set in during the time of the Underground Railroad, this story follows the journey of twelve-year-old Rebecca and her family as they try to escape slavery on a cotton plantation to start new, free lives in Canada. With a brave and courageous character that children will instantly warm to, Railroad of Courage relays the store of the Underground Railroad to a brand new crop of readers! DAN RUBENSTEIN‘s interest in runaway slaves began when he attended a school in an old house which had been part of the Underground Railroad. Dan is a geographer, environmentalist and writer. NANCY DYSON studied international development at Vassar College and was deeply concerned about issues of inequality. Later she became an early childhood educator with a special interest in children’s literature. Nancy and Dan make their home in Gloucester, Ontario. Visit www.rubenstein-dyson.com.